After receiving the response from customer on the performance of MaxiDiag MD808, Autel present us with MaxiDiag MD808 Pro as a replacement for the older model. The scanner capable of read and clear trouble codes. 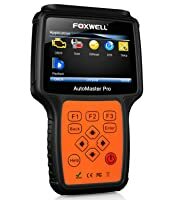 Being an auto car user you would have seen several scan tools on the market and would have to spend a considerable time researching the best scanners on the market. And one that keeps popping up almost everywhere would be the Autel MaxiDiag Advanced MD808 (MD808 Pro). This Autel Maxidiag Advanced MD808 came with a free lifetime update as long as you don’t lose your receipt. Autel MaxiDiag Advanced MD808 came in a well-built plastic carry case. This Autel scanner itself was neatly tucked in a rugged rubber case. Also included in the carrying case was an OBD/CAN interface cable, a user manual and a USB cable. You will love the portability if you are an auto mechanic whose work involves a lot of moving around. 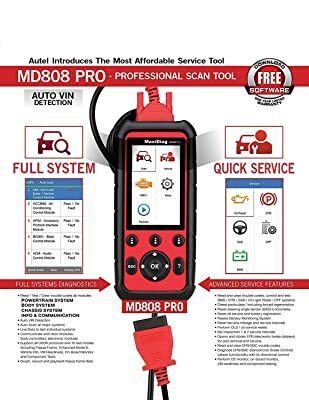 Autel MaxiDiag MD808 Pro boots up as soon as you connect it to a vehicle and start the ignition. It only takes a few seconds to start up completely. Maxidiag MD808 Pro can do full systems diagnostics and have advanced service features. Then Autel Maxidiag Advanced MD808 prompts you to choose your region, manufacturer and then enter the VIN. This Autel scanner actually checks all systems. It can read and clear engine, ABS, SRS, transmission, BMS, EPB, DPF, SAS, ECU and any other system codes. Not many OBD2 scanners offer that kind of flexibility. When doing codes you can choose to pull codes from individual modules or from all the modules at once. The same goes for clearing the codes. Perhaps the best part is that you can do all that with just one push of a button. It really makes basic diagnostics very easy. There’s a large LCD display that makes reading and clearing codes simple and fun. The user manual is detailed too, you can rely on it on this. The only bad thing about using the Autel MaxiDiag MD808 Pro for codes is its slow speed. It’s a bit slow, especially when scanning American and European-made vehicles. But it works like a charm on Asian vehicles. Most ordinary car owners only use OBD2 scanners to pull and clear codes. If you have the Autel MaxiDiag MD808 Pro you can explore a little deeper and test other functions. 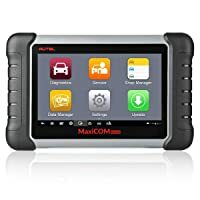 That’s where Autel MaxiDiag MD808 Pro really comes into its own, with almost everything you may need in an OBD2 scanner. First of all, you can use it to reset the battery, steering angle sensor SAS, oil service intervals, service intervals, service mileage and ECU brake warning light. In addition to that, the scanner supports battery registration, diesel particulate filter regeneration and relearning of parking brake pads after replacement. You can also do I/M readiness and components as well as O2 monitor tests. With this facts you can see that Autel MaxiDiag MD808 Pro is, in fact, a fully-fledged scanner. You won’t get such many advanced functions in other scanners of its price range. The MaxiDiag MD808 Pro not only displays codes but also live and freeze frame sensor data in graphical or text format. Error codes come with their descriptions. Even if you are new to OBD2 diagnostics you will know what each code means. On their part, live and freeze frame data make it easy to pinpoint exactly what is wrong with a sensor or module. This scan tool displays them very clearly. Plus descriptions make it an easy-to-use scanner for beginners and intermediates who might not know code meanings off head. While it doesn’t affect accuracy, the delay can be annoying if you are in a rush. And if you don’t know that it tends to delay you might opt to exit the screen thinking that it doesn’t support those functions. 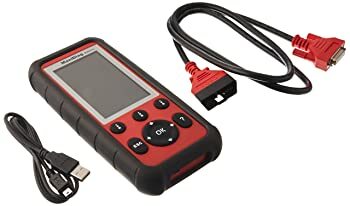 Apart from connecting the Autel MaxiDiag MD808 Pro to a vehicle’s OBD2 port, the other connection you can make is to a PC via USB. If it fails to make the connection you have the option of taking out the SD card and inserting it into a PC directly. You will need that connection when updating the device or when you want to analyze and print data on a PC. The scanner’s OBD2 cable goes to your vehicle’s OBD2 port. That enables diagnostics. The USB cable and microSD card connect to a PC when you need to do updates or copy/print data. It’s as simple as that! But even after a successful PC connection, this scanner can only print text, not graphs. And you will get an unformatted text. Autel MaxiDiag MD808 (MD808 Pro) works on almost all OBD2 compliant vehicles regardless of the brand that is made after 1996. Acura, Audi, Benz, BMW, Chevy, Chrysler, Ford, GM, Honda, Hyundai, Jeep, Land Rover, Nissan, Subaru, Toyota, and VW. Most of the time it will identify a vehicle automatically and lead you to diagnostic functions. While the connection speed varies, it is a generally fast diagnostic scanner. 2016 Jeep Cherokee, 2017 VW Jetta, 2014 Dodge Ram, 2017 Dodge Charger and 2015 BMW Z4 E89. In those instances, it could neither identify the type of vehicle nor connect to the vehicle’s computer. Due to the fact that models didn’t even exist in the scanner’s menu. 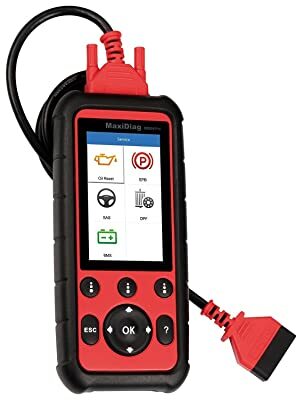 So if you are a car owner you may want to confirm whether your make and model is supported before you buy this OBD2 scanner. - Sleek design with 480 x 840 color display - Various functions, save you money on unexpected repairs. Bottom Line It is ideal for professionals and DIY enthusiasts. It is useful to both technicians and ordinary car owners. It is higly recommended for your garage or private use. 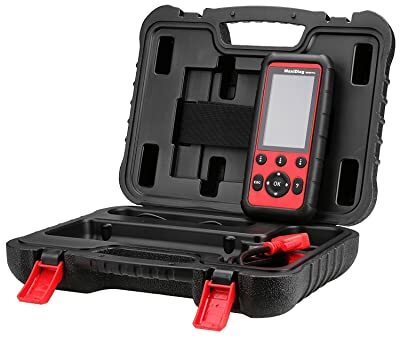 It’s not a perfect tool but the Autel MaxiDiag MD808 Pro is ideal for professionals and DIY enthusiasts. It has an impressively powerful processor that boots up fast and supports a huge database of data. That speed and library are priceless to someone who does auto repair for a living. For its price this device is a steal. Overall, the MaxiDiag MD808 Pro balances functionality and cost better than any other scan tool. It has an affordable price tag but features functionality that is comparable to what high-end tools offer. Meaning you get great performance in a cost-efficient package. That’s a pretty good deal for any DIY enthusiast or if you are just starting your professional auto repair career.